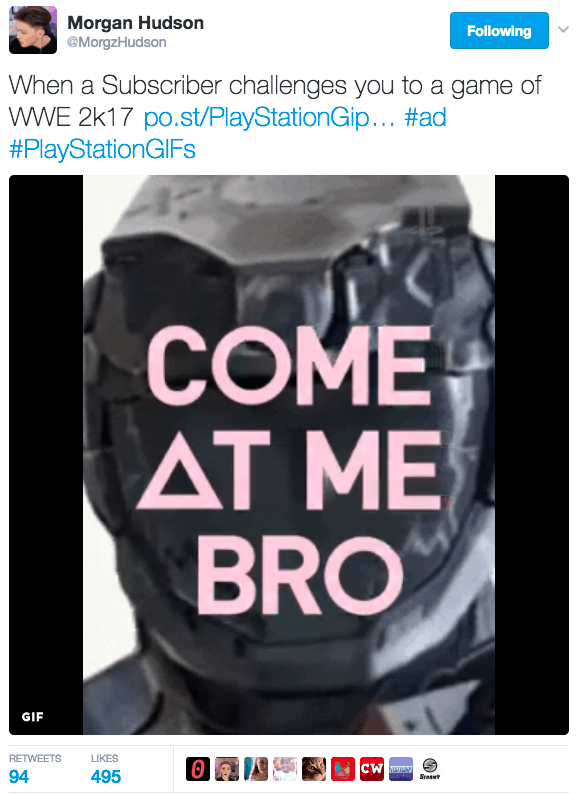 Viral Talent teamed up with PlayStation and MediaCom for the launch of PlayStation’s exclusive Giphy page! 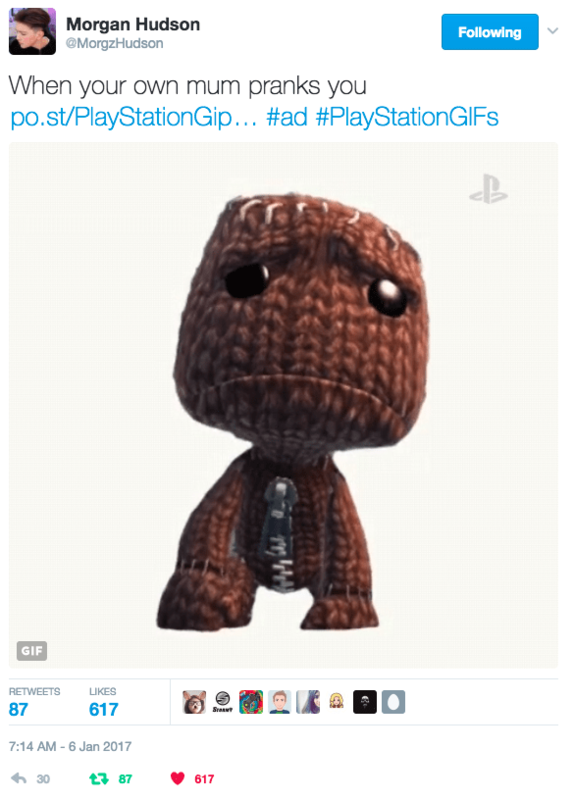 This was an influencer driven campaign, with PlayStation choosing to work with Viral Talent’s content creator – Morgz (1.3m Subscribers). In just over a year, Morgz has grown his channel from 8,000 subscribers to a staggering 1.3 million with no signs of slowing down. The key objective for this campaign was for Morgz and a selection of the UK’s largest YouTubers to create their own personal GIF’s. 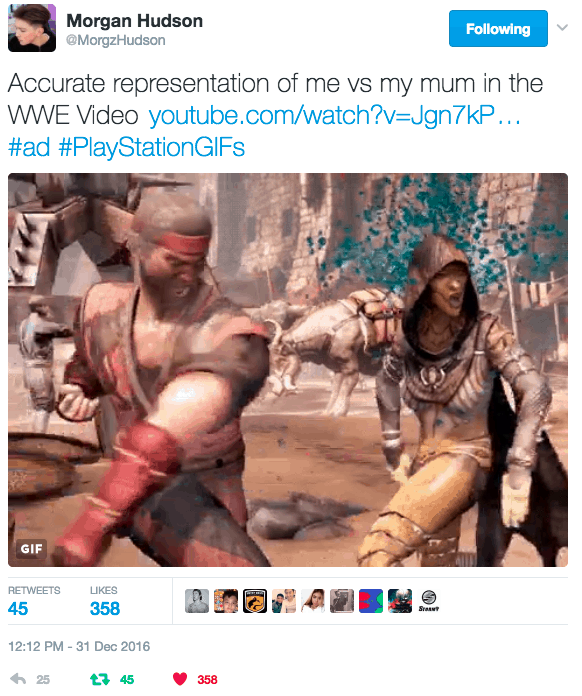 PlayStation chose Morgz to seed both PlayStation’s GIFs and his own personal GIF over the festive period across his YouTube and Twitter audience. 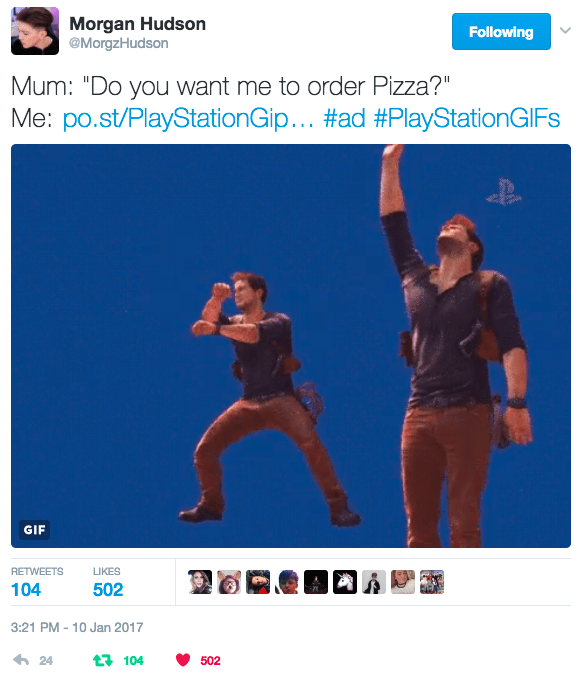 PlayStation were looking to engage with teenagers and young adults, so Morgz’ fan base was the perfect audience to build hype and excitement around the new gaming GIFs, which can be used on Twitter, Facebook and Apple’s iMessage. 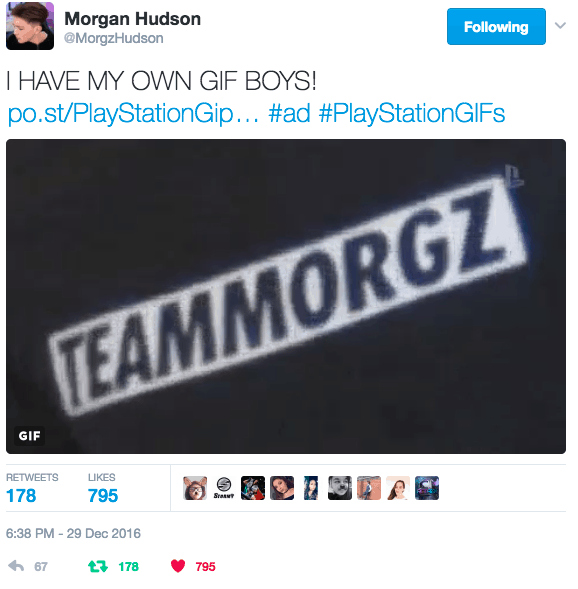 The first part of the campaign had Morgz attend a GIF creation day in London where he joined fellow YouTubers such as Vikkstar, Burnt Chip and Kieran Brown to create his own personal GIF. As no other gaming publisher has created their own Giphy page before, PlayStation challenged the YouTubers to get involved and do something they have not done before. For the second part of the campaign, each creator was set their own gaming challenge. 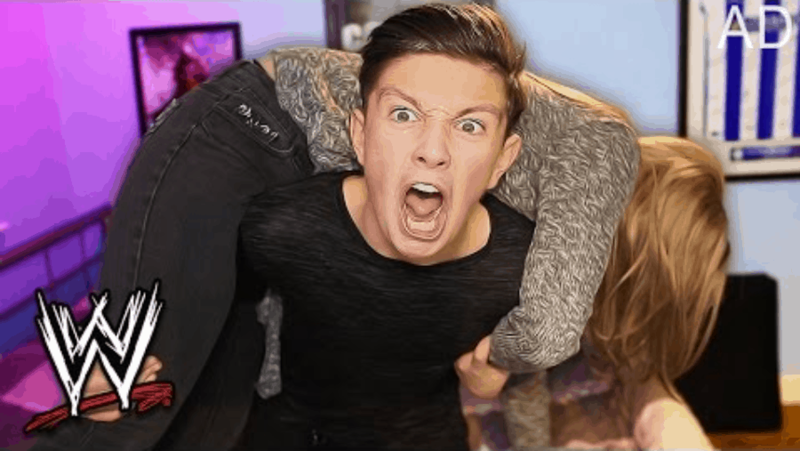 Morgz’ challenge was to create a video in which he would take on his Mum at WWE 2K17! 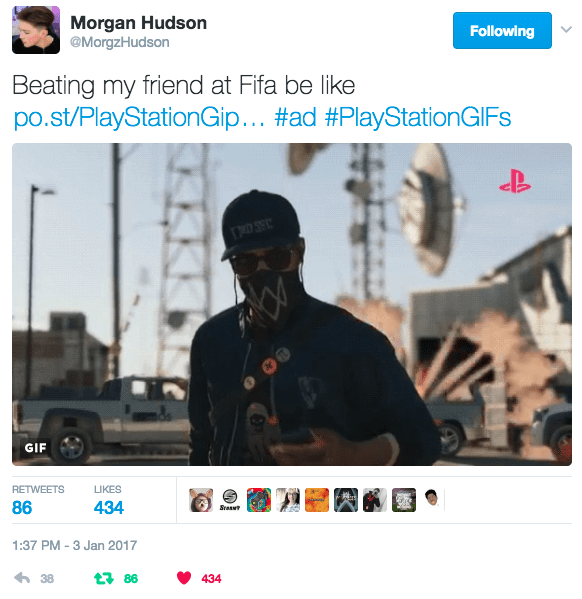 During this hilarious video, Morgz incorporated both his own GIF and PlayStation’s GIFs to raise further awareness for the Giphy campaign (View video below). 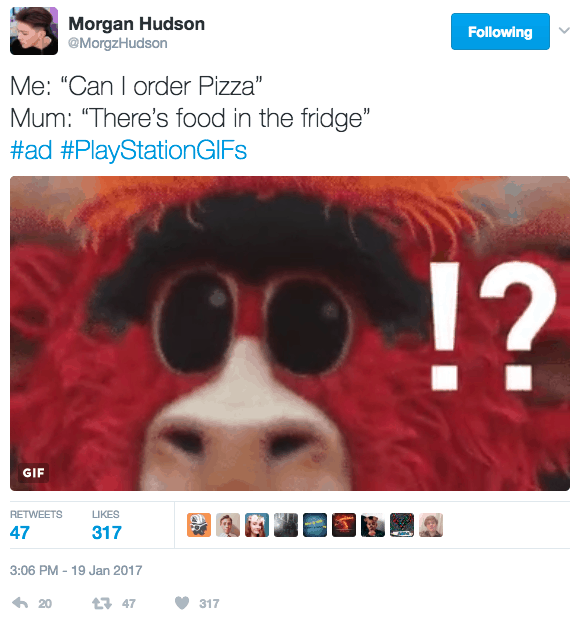 To help gain further exposure and excitement about PlayStation’s GIFs, Morgz has posted a series of Tweets incorporating GIFs from the campaign (Twitter campaign still active). You can view the current campaign stats below including the picture links to the Tweets.